All of us can easily do some kind of data analysis using pen and paper on small data sets. Imagine a situation, where we have to analyze millions of petabytes of data. We would require specialized tools and techniques to analyze and derive meaningful information from huge datasets. Pandas Python is one of those libraries for data analysis, that contains high-level data structures and tools to help data scientists or data analysts manipulate data in a very simple and easy way. These two are high performance array and table structures, for representing the heterogeneous and homogeneous data sets in Pandas Python. Pandas python provides the flexibility for reshaping the data structures so that the data can be inserted in both rows and columns of tabular data. To allow automatic alignment of data and indexing, pandas provides labelling on series and tabular data. Heterogeneous indexing of data spread across multiple axes, which helps in creating more than one label on each data item. The functionality to perform split-apply-combine on series as well on tabular data. Using pandas, programmers can easily identify and mix missing data in both floating and non-floating pointing numbers. vii) Powerful capabilities to load and save data from various formats such as JSON, CSV, HDF5, etc. viii) Conversion from NumPy and Python data structures to pandas objects. ix) Slicing and sub setting of datasets, which include merging and joining data sets with SQL- like constructs. Although, pandas provides many statistical methods, it merely is not enough for doing data science in Python. 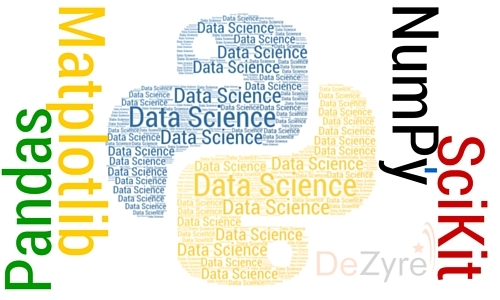 Pandas depends upon other python libraries for data science like NumPy, SciPy, Sci-Kit Learn, Matplotlib, ggvis in the Python ecosystem to draw conclusions from large data sets. Thus, making it possible for Pandas applications to take advantage of the robust and extensive Python framework. 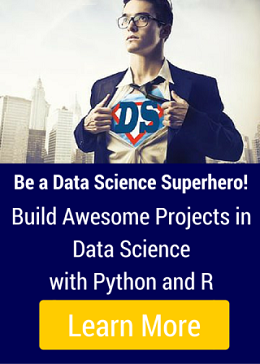 There are many people who often say that “Python is amazing for doing data science but they have spent 3 days installing Python and other libraries to learn doing data science in Python.” It is not recommended to install the PyData stack manually particularly when one does not know which libraries they will actually need. If you are one among them, then Anaconda by Continuum is for you. 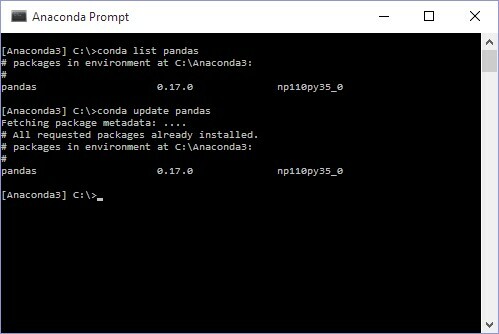 The base package of Anaconda installs pandas as a part of the default installation process, which makes it easy to begin using pandas. The default installation also installs IPython Notebook server, which can be used to run the applications interactively. Excited? Now, let’s install Anaconda and pandas, to write some cool stuff!! 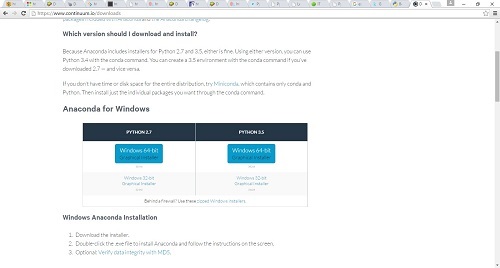 You can download the latest Anaconda from the Continuum Analytics website https://www.continuum.io/downloads. Once you visit the website, it will automatically detect the OS and provide you with different options for downloading. 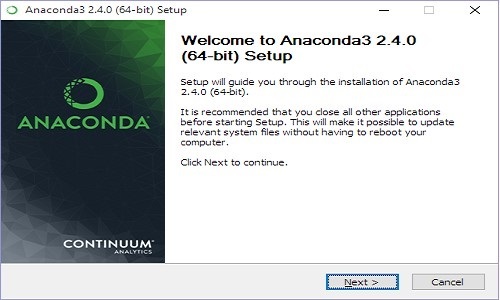 After executing the installer and the screen will guide you to install Anaconda, just follow the on screen commands and finish the installation process. We will write our first application in IPython interpreter, as it provides a very convenient way for writing Python applications. That’s it! It’s very easy to write pandas applications using IPython. We can also write using the web based GUI of IPython Notebook. Numerical Python code name: - NumPy, is a Python library for numerical calculations and scientific computations. 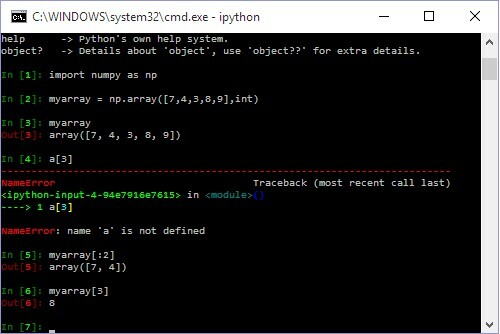 NumPy provides numerous features which can be used by Python enthusiasts and programmers to work with high-performing arrays and matrices. NumPy arrays provide vectorization of mathematical operations, which gives it a performance boost over Python’s looping constructs. Mathematical Operations: It provides all the standard functions required to perform operations on large data sets in a very fast and efficient way, which otherwise have to be performed through looping constructs. ndarray: It is a fast and efficient multidimensional array which can perform vector based arithmetic operations and has powerful broadcasting capabilities. I/O Operations: It provides various tools which can be used to write/read very large data sets from disk. 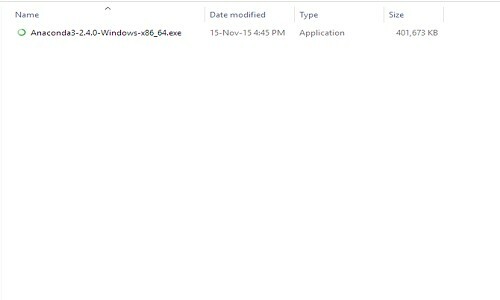 It also supports I/O operations on memory based file mappings. Fourier transform capabilities, Linear Algebra and Random Number Generation. If you have installed Anaconda as mentioned above, then NumPy will get installed automatically, as it is one of the dependency of pandas. But, in case you have downloaded it via some other tools, then you need to download NumPy separately, after installing Python. 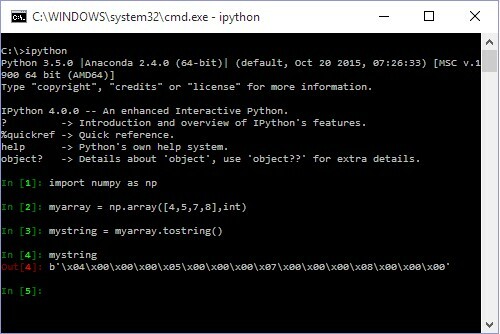 Also, you need to keep in mind that, NumPy has to be installed first and then any other add-ons can be installed. Phew!!! Those were some cool commands, let’s move forward to our next Python library in the list. 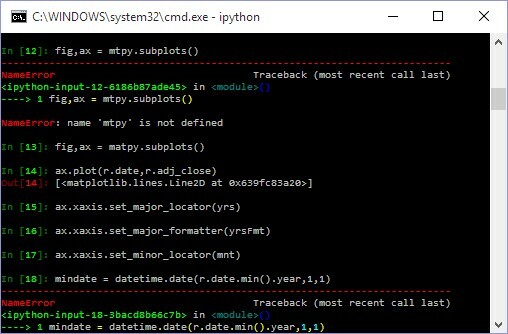 Scientific Python code name, SciPy-It is an assortment of mathematical functions and algorithms which are built on top of Python’s extension NumPy. SciPy provides various high-level commands and classes for manipulating and visualizing data. SciPy is useful for data-processing and prototyping of systems. Apart from this, SciPy provides other advantages for building scientific applications and many specialized sophisticated applications that are backed by powerful and fast growing Python community. As we are using Anaconda for installing Python modules and running the commands, for SciPy also we will be using Anaconda. Being a dependency for pandas, SciPy also gets installed with the default installation of Anaconda. 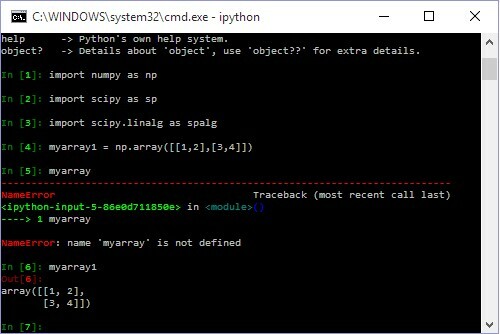 For Python lovers, SciPy is also available for downloading separately using this http://www.scipy.org/install.html link. Awesome!!! 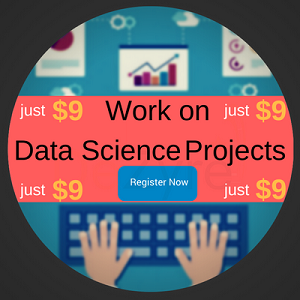 We have just have completed three most popular libraries of Python for data science and it’s time to go ahead with the next one. We all have heard this quote “Necessity is the mother of all invention”. The same holds true for matplotlib. This open source project was developed to handle different types of data generated from multiple sources in the epilepsy. matplotlib is a 2D graphical Python library. However, it also supports 3D graphics, but this is very limited. 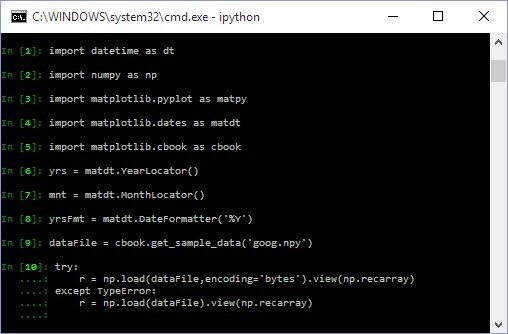 With increasing demand for Python in many folds in the recent years, growth of matplotlib has given tough competition to giants like MATLAB and Mathematica. You might be very happy to hear this that, when you installed Anaconda, matplotlib has also got installed under default installation. So, you do not need to do any extra installation. For knowledge seekers who want to build through the source code of Matplotlib, visit http://matplotlib.org/users/installing.html. Demo for creating date plots, loading a default Yahoo csv file which comes with default installation. 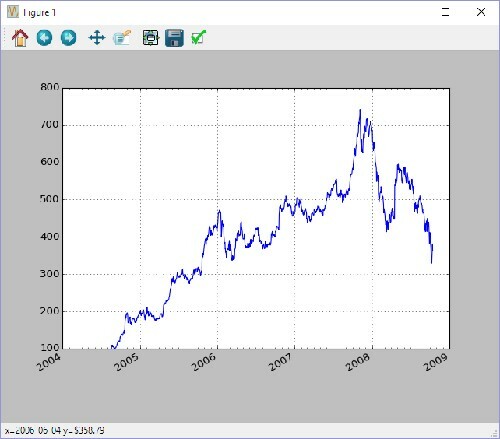 With some basic coding and commands you are able to create a visual graph based on the data, imagine the brilliance and power of matplotlib. 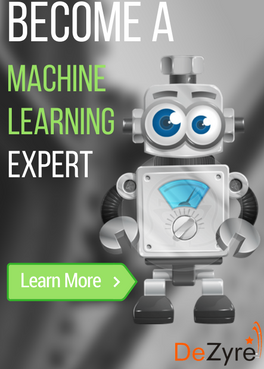 For all the machine learning practitioners who want to bring machine learning into the production systems, Sci-Kit Learn is the savior, Sci-Kit Learn has several supervised and unsupervised machine learning algorithms which have a level of robustness and support required for use in production applications. As this library provides various learning algorithms, it has been named as Sci-Kit Learn. 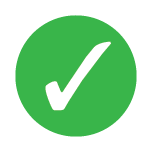 Sci-Kit Learn focuses on code quality, good documentation, ease of use and performance.Sci-Kit Learn has a steep learning curve. 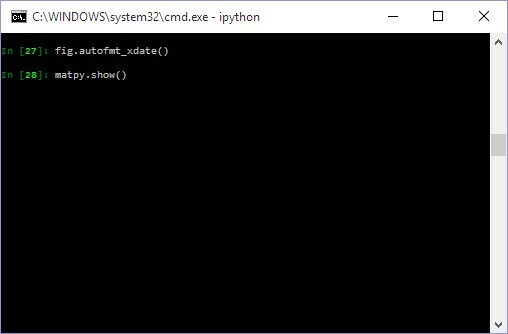 Sci-Kit Learn is built upon SciPy and thus to use Sci-Kit Learn it is necessary to install various other Python libraries – Pandas, NumPy, SciPy, SymPy and IPython (the enhanced interactive console).However, on installing Anaconda-Sci-Kit Learn is also installed by default. 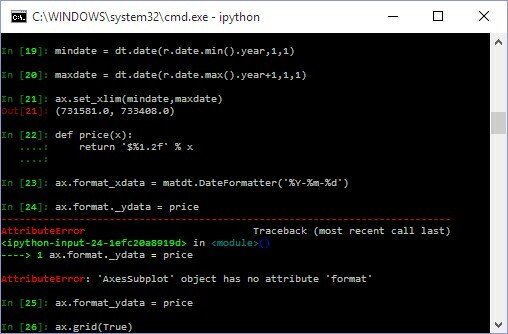 At the beginning of this article you might have heard only about the popular libraries in python for data science but now you can do some basic coding and make wonders using Python libraries with your datasets. Python ecosystem is a huge ocean with so many libraries to be unleashed for data scientists. These were just few of them. Subscribe to our blog for more updates on exploring other Python libraries.